Support. Understanding. Clarity. A direction for the future. Lundy Bancroft’s new book offers women daily guidance and inspiration for meeting the challenges of living with a controlling partner. In short, compassionate pieces that take about ten minutes to read, Lundy helps the reader navigate the confusion, emotional wounding, and intimidation that angry and controlling men cause. Daily Wisdom For ‘Why Does He Do That?” is for every woman who is looking for help with her relationship. You do not need to have read any of Lundy’s previous books, including Why Does He Do That?, to understand and draw strength from the new book. Kamagra Oral saperne di più qui è rapidamente assorbito nel corpo e pazienti riferiscono i tempi di risposta più rapidi da 20 minuti. Kamagra Oral Gel ha un tempo di trattamento efficace di 4 - 6 ore, ma molti medici riportano tempi più lunghi. Nationwide bestseller with over 400,000 copies in print. Has your partner changed dramatically from the man you originally got involved with? Do you struggle with trying to understand what is bothering him and how to keep him from exploding? Do you feel like you’re always messing things up in his eyes, and you can’t figure out how to get it right? Why Does He Do That? 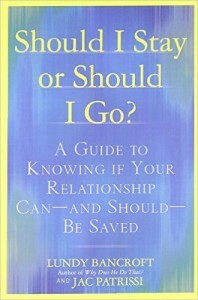 has become the go-to book for women who have partners who are angry, controlling, or unfaithful. It answers the 20 questions that women most ask about their partners’ behavior. This book will help you to sort out whether your partner’s behavior is just “normal relationship stuff” or whether he is trying to control you. And if he is controlling, Lundy will guide you in how to keep yourself safe and sort out the way forward for your life. 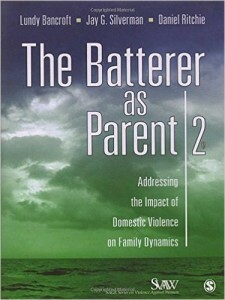 The Batterer as Parent takes the reader inside of homes affected by domestic violence, imparting an understanding of the atmosphere that battering men create for the children who live with them. Bancroft and Silverman show how partner abuse affects each relationship in a family, and explain how emotional recovery is inextricably linked to the healing and empowerment of the mothers. The authors cover the important but often-overlooked area of the post-separation parenting behaviors of men who batter, including their use of custody litigation as a tool of abuse. Readers also are guided in evaluating change in the parenting of men who batter, assessing risk to children from unsupervised visitation, and supporting the emotional recovery of children. 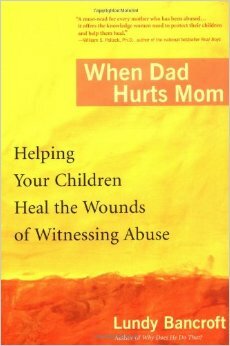 Although the book is written primarily for professionals, its accessible style makes it engaging and useful for abused mothers and anyone else wishing to assist children exposed to battering. Excellent. I’ve been waiting for this book. It is a crisp, cogent, comprehensive exegesis on batterers, their parenting styles, their custody litigation practices, and the adverse impact of their violence on battered mothers and their children. A must-read for attorneys, advocates, custody evaluators, judges, and batterer intervention service providers. How to tell the root cause of why your partner isn’t giving you the love you deserve. Is it immaturity? Fear of commitment? Addiction? Mental health problems? Abusiveness? You’ll learn how to test for each of these, and what it means if the answer is yes. How to get your partner to listen to you and understand that he has to work on himself and make changes. How to point him toward the right kind of help – and how to find out if he’s serious about growing up and changing or not. How to get yourself stronger and happier, so that you can face up to the hard challenge of ending your relationship if it turns out you need to. And if your partner does manage to grow in the ways you need him to, you’ll still benefit from learning how to keep yourself on solid ground emotionally, so that you don’t rise and fall with the ups and downs of your relationship. If you have to move on, you’ll learn how to choose a partner next time who will treat you the way you deserve to be treated, won’t cheat on you, and will make you a priority. This is the book women have been waiting for. It offers information, insights, and a clear plan of action. Lundy Bancroft, the country’s best-known author on abusive relationships, teams up with women’s advocate and workshop leader JAC Patrissi to bring you this hopeful and empowering guidebook. The perfect, long-awaited guide for mothers who have been abused… also essential reading for every social worker, custody evaluator, guardian ad litem, custody attorney, child protection worker and judge.